Justin is an 8-year-old boy who presented to our office as a third opinion for scoliosis. Justin’s x-rays showed a curve measuring 21 degrees. 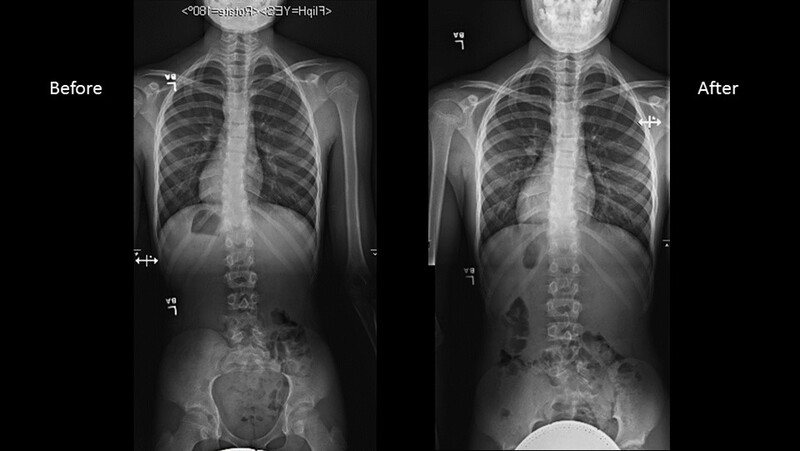 With much discussion about the process and commitment required for bracing, we decided to continue monitoring Justin and obtain an MRI to rule out any underlying causes of juvenile-onset scoliosis. The MRI did in fact show a tethered spinal cord, which was then decompressed by a Pediatric Neurosurgeon here at Columbia, Dr. Richard Anderson. 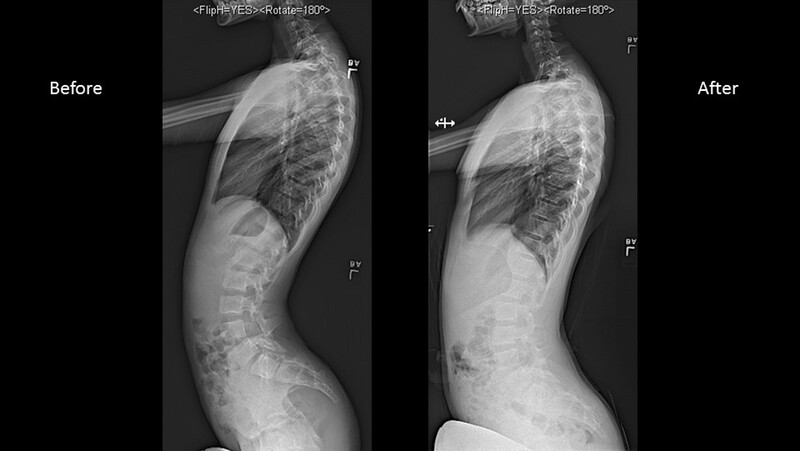 Current evidence suggests about 60% chance of having spontaneous resolution of scoliosis after un-tethering procedures. We saw him recently and we are happy to say that his curve is measuring 10 degrees. We will continue to follow Justin through his growth spurt. Justin continues to participate in dance, yoga, and gym without any complaints or limitations. This is a great example of the collaboration with other services here at NewYork Presbyterian Children’s Hospital/Columbia University to provide the best care for the patient.